Testing for residues of an herbicide developed by Monsanto Co. that has been linked to cancer has turned up high levels in honey from the key farm state of Iowa, adding to concerns about contamination that have triggered at least two lawsuits against honey industry players and prompted scrutiny by regulators. The Food and Drug Administration began glyphosate residue testing in a small number of foods earlier this year after the International Agency for Research on Cancer classified glyphosate as a probable human carcinogen in March 2015. The "special assignment," as the FDA refers to the testing project, is the first time the FDA has ever looked for glyphosate residues in food, though it annually tests foods for numerous other pesticides. Research by FDA chemist Narong Chamkasem and John Vargo, a chemist at the University of Iowa, shows that residues of glyphosate - the chief ingredient in Monsanto's branded Roundup herbicide - have been detected at 653 parts per billion, more than 10 times the limit of 50 ppb allowed in the European Union. Other samples tested detected glyphosate residues in honey samples at levels from the low 20s ppb to 123 parts per billion ppb. Some samples had none or only trace amounts below levels of quantification. 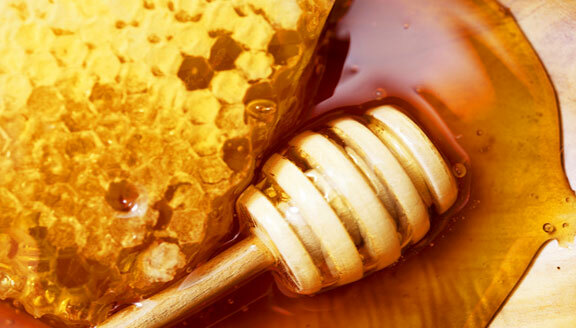 Previous reports had disclosed glyphosate residues in honey detected as high as 107 ppb. The collaborative work was part of an effort within FDA to establish and validate testing methodology for glyphosate residues. "According to recent reports, there has been a dramatic increase in the usage of these herbicides, which are of risk to both human health and the environment," Chamkasem and Vargo stated in their laboratory bulletin. "EPA is evaluating the necessity of establishing tolerances for inadvertent residues of pesticides in honey," the agency said in a statement. The EPA also said there was no reason for consumers to be concerned about the residue in honey. "EPA has examined the glyphosate residue levels found in honey and has determined that glyphosate residues at those levels do not raise a concern for consumers," the agency said. Despite the reassurances, at least two lawsuits have been filed over the issue. The Organic Consumers Association and the Beyond Pesticides nonprofit group filed suit Nov. 1 against the Sioux Honey Association Cooperative, a large Iowa-based group of bee keepers who produce the nationally known brand Sue Bee Honey. Sue Bee bills itself as "America's Honey," but the lawsuit alleges that the labeling and advertising of Sue Bee products as "Pure," "100% Pure," "Natural," and "All-natural" is "false, misleading, and deceptive." Some of the glyphosate residues detected in the FDA tests were found in the Sue Bee brand, according to the FDA documents obtained through FOIA requests. Considering corn is a key crop in Iowa, and most of the U.S. corn crop is genetically modified to tolerate being sprayed directly with glyphosate, it is not necessarily surprising that glyphosate residues are showing up in honey in Iowa and other farm states. Honey bees naturally migrate from field to field and plant to plant, so can become contaminated by the pesticide easily and then transfer pesticide residues to their honey, according to bee industry leaders. "It's a chemical intrusion, a chemical trespass into our product," said Darren Cox, president of the American Honey Producers Association. "We have really no way of controlling it. I don't see an area for us to put our bees. We can't put them in the middle of the desert. They need to be able to forage in ag areas. There are no ag areas free of this product." The lawsuit filed Tuesday acknowledges the difficulties beekeepers face. They "are often the victims of, and have little recourse against, contamination of their hives caused by pesticide applications in the fields where bees forage," the lawsuit states. "I think more testing should be done so that we are armed with the knowledge and then we can decide what we want to put into our bodies," Dulan said. "I do believe in minimizing pesticide exposures whenever possible." Jay Feldman, executive director of Beyond Pesticides, said regulators need to do more to address the issue. "Until U.S. regulatory agencies prohibit Monsanto and other manufacturers of glyphosate from selling pesticides that end up in the food supply, we need to protect consumers by demanding truth and transparency in labeling," Feldman said.